Read on for the latest from your Columbia alumni community. Congratulations to Jennifer Lee '05SOA! The Frozen director was named chief creative officer at Walt Disney Animation Studios. Read more about this exciting news from School of the Arts. This week, The Low Down spoke with Mel Schwartz '94SW, the first practicing psychotherapist to incorporate quantum physics into his methods to help his clients overcome anxiety and depression. Read more about his fascinating methods and how he credits Columbia for his unique approach and openness to new methods. 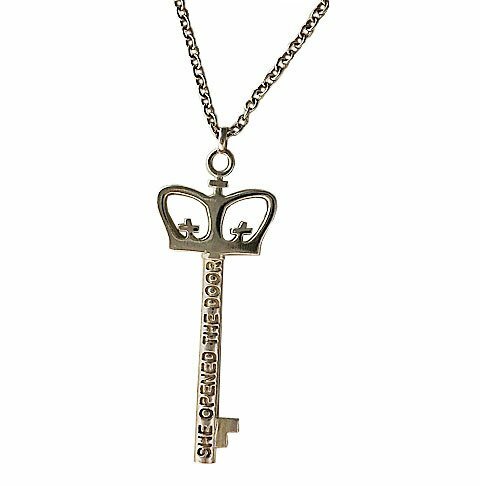 Still Available: Get your limited-edition key necklace, now available in the CAA Shop. The necklaces, handmade by Columbia College and Columbia Business School alumna Teresa Saputo Crerend, commemorate She Opened the Door, Columbia University first women's conference. Twelve rising social change-makers were selected as the first class of Obama Foundation Scholars at Columbia. Consistent with the Obama Foundation's mission to inspire, empower, and connect the next generation of civic leaders, the year-long academic program based at the University will strengthen the expertise and knowledge of individuals with the demonstrated ability to be transformative leaders. Read more about these talented Scholars.